Discussion in 'Sega Dreamcast Development and Research' started by S4pph4rad, Oct 20, 2015.
maxtherabbit, fafadou, pitito and 2 others like this. Ivan GR, fafadou, Anthony817 and 2 others like this. This code also works for Internet Game Pack. Same studio, same engine, same hack it seems. LuizNai, fafadou, Anthony817 and 2 others like this. fafadou and Anthony817 like this. @Esppiral : the iso zone is now closed... Could you please do a release of your widescreen hack version of F355 challenge. bulletbob, Esppiral, Anthony817 and 1 other person like this. @megavolt85 : Same patch too for resident evil code veronica kazenban JAP version ? 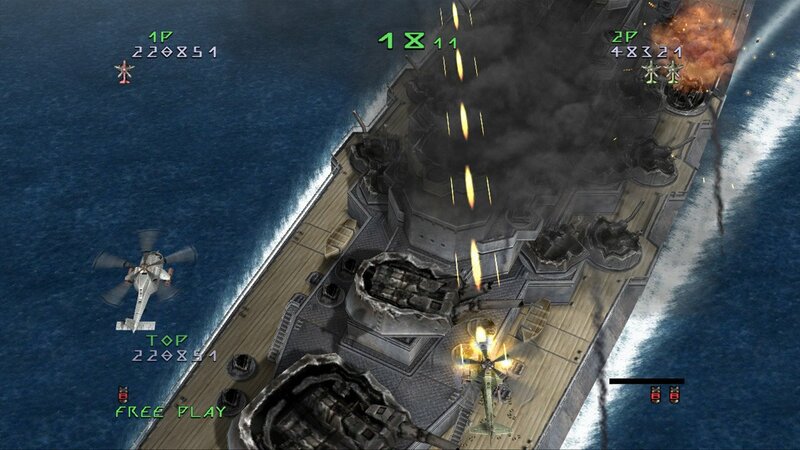 Hey guys, I recently played Under Defeat HD on PS3 in the widescreen mode, and realized how amazing it would be to have full widescreen aspect ratio in game on Dreamcast. Is it possible at all to fully render the game in widescreen? I always felt like it was the one thing this great shooter was lacking. 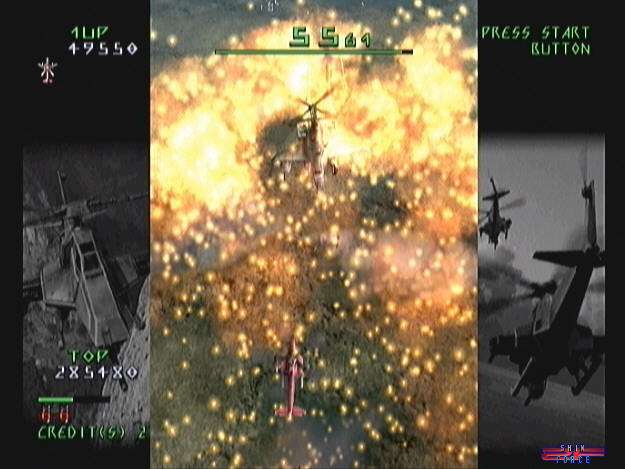 I love how Zero Gunner 2 was full screen, and this is a similar game. I just don't know how feasible it would be to render the off screen things? What do you mean, fully render? Good widescreen hacks already increase the FOV and render objects that would normally be clipped at 4:3. Widescreen hacks that crop the bottom of the screen are making the game worse, not better, but whether a game will work with a good widescreen hack depends on how the game's perspective function was designed. Anamorphic widescreen is the best you can do on DC, since it always renders at a fixed 640x480 resolution at best. When you cram 853 pixels' worth of image into 640 pixels, you sacrifice resolution (i.e. the graphics get slightly worse) for an increased view. 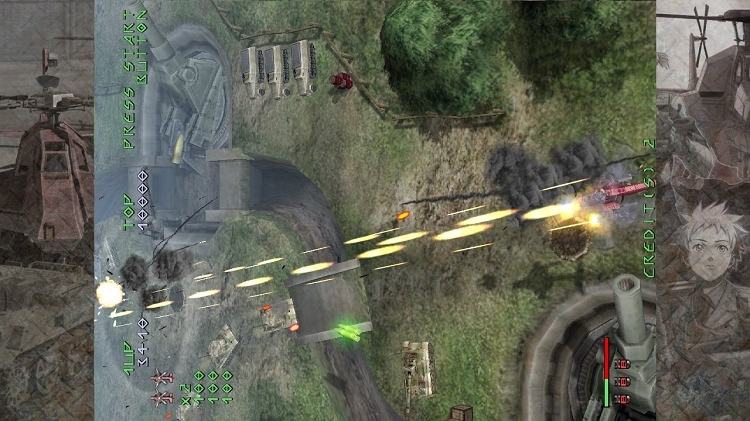 Modern games render at actual widescreen resolutions with square pixels (non-anamorphic widescreen), so you don't sacrifice visual quality to get a wider FOV. That approach will never work on DC games. That is exactly what I mean, anamorphic widescreen just like every other code for the games in this thread. The game actually allows you to move around the area some, and as we have already seen with Shenmue and other games the off screen rendered problems would be ironed out like with other games. That is all I was asking was if it was possible to make this game which displays in a very small image as it was made for Tate mode use the rest of the screen akin to how the similar game Zero Gunner 2 does. Right now the game looks like this. I was asking if it was possible to make it look like this on the Dreamcast sans the HD resolution using all of the screen to render the game. Surely one could expand the view area just like has been done with almost every other game in this thread. Yes, but you have to rotate the whole screen to use it correctly. I was wanting to see it fill the screen horizontally without reversing the controls. When you do this, the D-pad controls feel changed because the game expects the screen to be rotated. I also have a 42 inch Plasma TV that doesn't rotate, so that screen mode isn't optimal. Well, that is still not quite exactly what I was asking for as that would still make the screen oriented sideways. I simply wanted to know if somebody could please make a widescreen hack for the normal mode to extend the view area. The way you are saying would make it appear more or less like this. The way I am talking about would look more like this.